Since its invention in 1941 by Dr. Peter Schlumbohm PhD, the Chemex coffeemaker has provided customers with “the best cup you’ve ever had, every time you have it.” With its hour-glass shape and heat resistant glass, this coffeemaker rises above the rest. 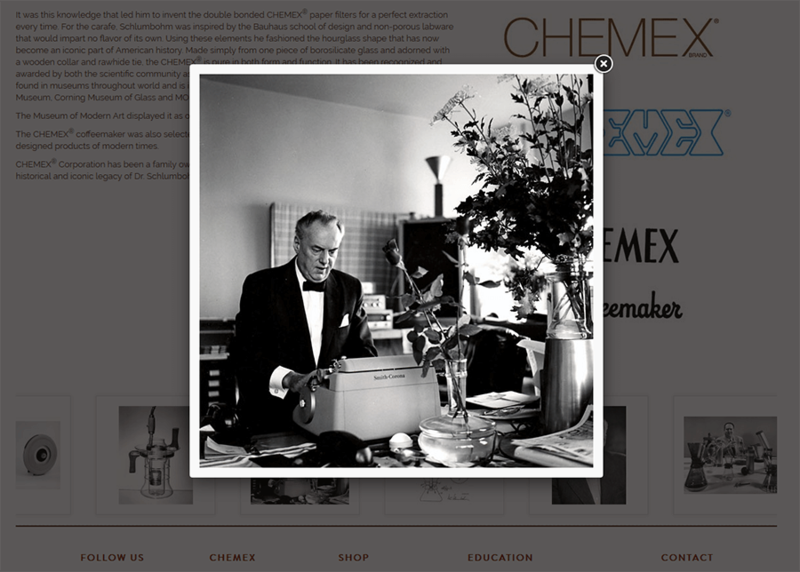 Featured in the Huffington Post and on display at the Museum of Modern Art, the innovative design of the Chemex has made an immense impact on the coffee world at large. 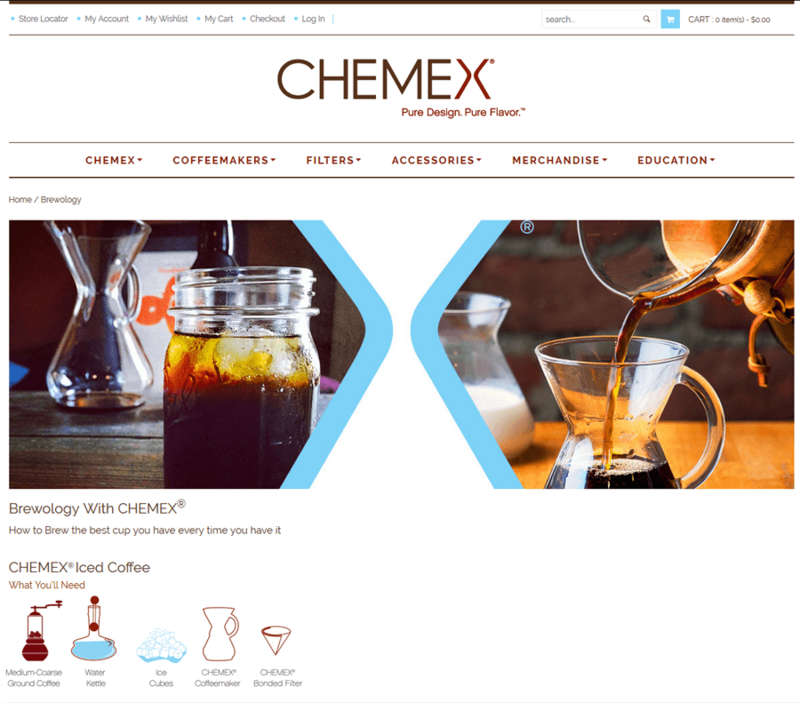 Using Magento community edition, Knectar and Sketchie Design partnered to build a sleek, modern site that accurately reflects Chemex’s well-deserved reputation and allows for full scale e-commerce functionality that will keep up as the company grows. The beauty of the Magento CMS is that functionality can easily be added on as needed, meaning that initially, a user is not overwhelmed with unnecessary options. 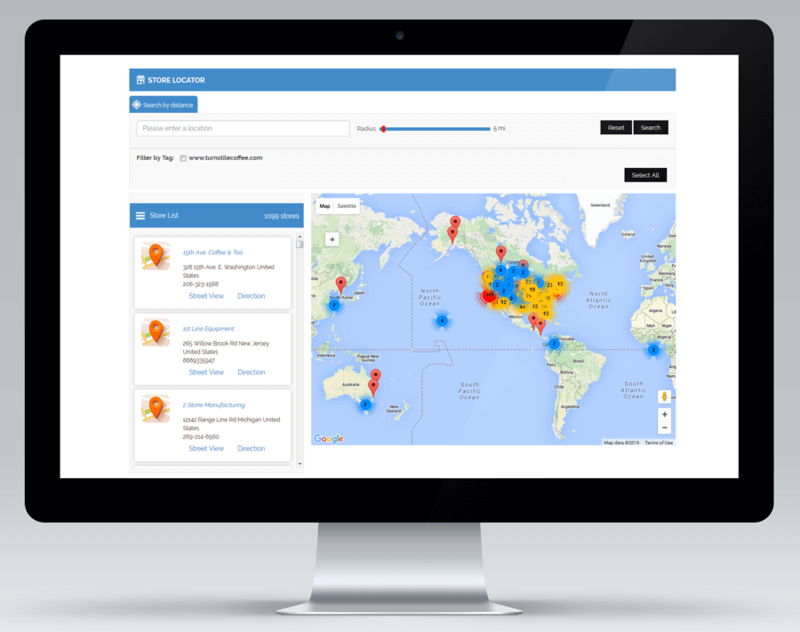 Due to a strict initial budget, the Knectar project management team put together a comprehensive project plan with multiple phases, allowing the development needs to be met while producing quality work, all within budget. Additional scopes of work can be tackled as time and budget allows, or as Chemex grows to need more functionality. 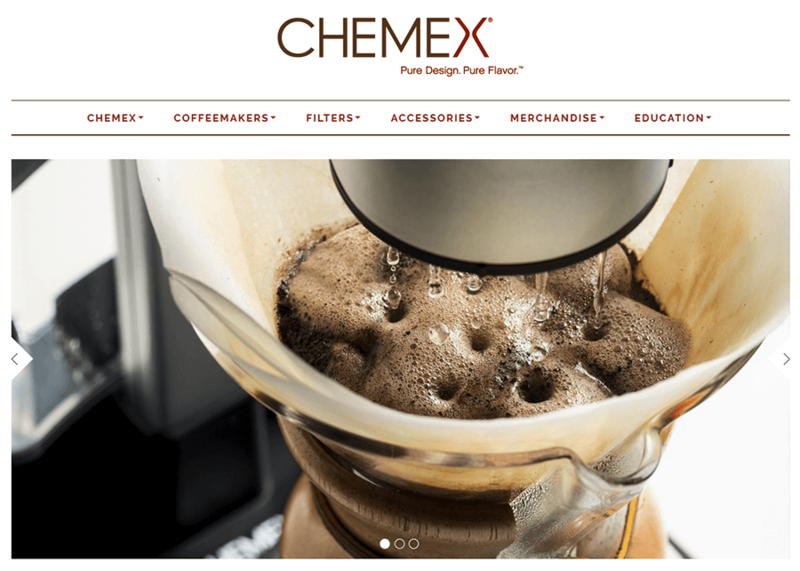 The initial phase of the Chemex site build included leveraging and customization of a pre-designed Magento theme, which helped to keep the project on schedule and in-budget, while still making sure that Chemex had a unique, non-templated site to showcase their amazing line of products. Knectar has utilized several 3rd party Magento extensions for custom facets of the site, such as the store locator and the photo galleries. 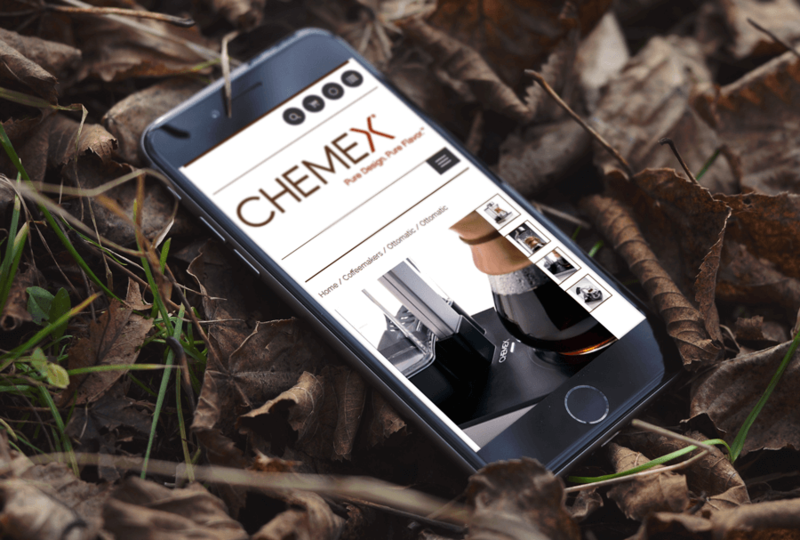 By taking advantage of these extensions instead of building custom solutions, the Chemex team got a site that meets their current needs in a relatively short amount of time. In the future, should their needs grow beyond the functionality that the extensions can provide, they can consider custom-built solutions. 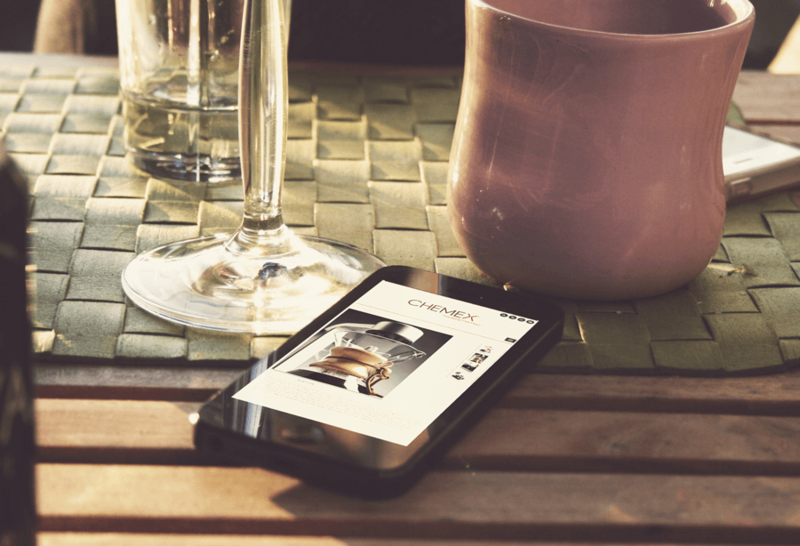 Also included in the first phase of Chemex was the implementation of a content delivery network (CDN) to reduce bandwidth costs and speed up site performance. The CDN implementation will prove to be worth the effort when Chemex is featured in larger publications, causing spikes of site traffic. Knectar is looking forward to working with Chemex in the second phase of the site build, which includes a potential Quickbooks integration, and wholesale support for their larger clients.